Originally from Pottstown, Pennsylvania, Richard Steltz graduated from Pottsgrove High School in 1962. Mr. Steltz earned a Bachelor's Degree in Music Education from West Chester State College and a Master's Degree in Music and Music Education from Teachers College, Columbia University, in New York. He studied trumpet privately with Seymour Rosenfeld of the Philadelphia Orchestra and with Harry Glasel in New York. 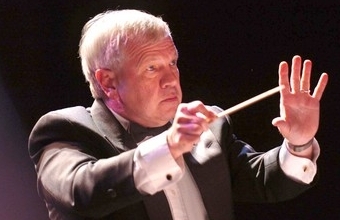 Mr. Steltz taught instrumental music in the Parkland School District for 33 years before retiring. He directed adult church choirs for ten years at Trinity Lutheran Church in Bowmanstown and for ten years at Asbury Methodist Church in Allentown. In addition to directing the Municipal Band, Richard currently plays trombone and baritone with the Flutations. He directs the hand bell choir at his church, St. Paul's Lutheran in Trexlertown and gives private instruction on brass instruments. Richard is currently a member of, and a past president of the board of directors of the Allentown Community Concert Association. Non musical activities include photography, hiking, golf, canoeing, and kayaking on flat water (none of that white stuff anymore).